Look at beautiful rooms with walls in solid color fabrics, in stripes, checks or patterns. We install many types of upholstery fabric, from a simple textile to the most precious cloths. Here are some fabric manufacturers; Ralph Lauren, Lee Jofa, Rogers & Goffigon, Holland & Sherry, and Sterling & King. Furthermore, we have worked with Pierre Frey fabric, Braquenier, Charles Burger, Sabina Fay Braxton to name a few more. What will you see in our wall upholstery portfolio? Wall upholstery goes on walls and ceilings. The fabric is either stretched from wall to wall or in panels. Fitted on a flat or cathedral ceiling. 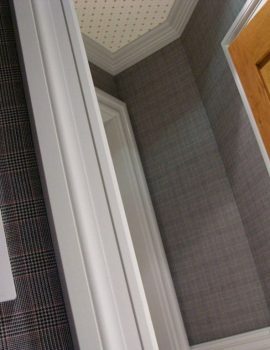 There are a few examples of upholstered ceilings in the portfolio. 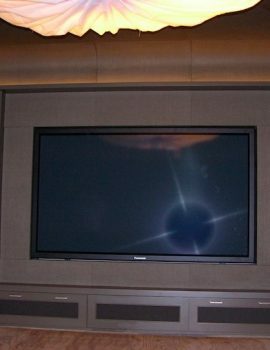 We also create a panel effect that is often seen in home theaters. 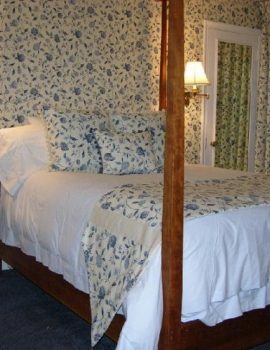 In general, the fabric starts from floor to ceiling or chair rail to the ceiling. Each room is different in width, height, length, with sometimes odd ceiling shapes. Given these points, you decide which wall upholstery method is best. The V.E.THOMAN fitting system makes a clean finish on the fabric. 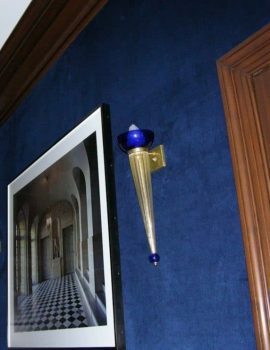 For one thing, our clients have this product fitted in their contemporary or modern interiors. 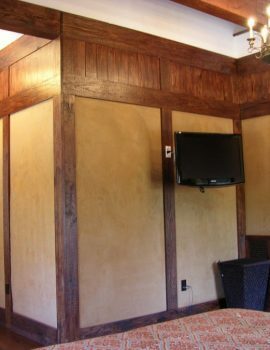 Moreover, V.E.THOMAN installs clean edge wall upholstery wherever is needed. The installation service is available across the United States. We accept all kind of challenges. Of course, you are welcome to ask us any questions on this topic. ⇓ Feel free to see our Facebook page and leave us comments. 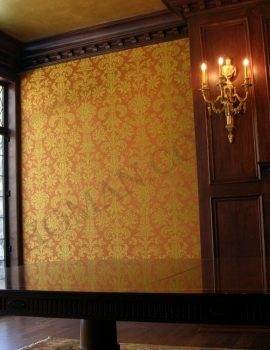 In the meantime, enjoy our wall upholstery portfolio pictures!